Provide a detailed list of items needed from your organization in order to commence the OPEB project. Conduct an onsite meeting, if desired, with key individuals. During this meeting, we will review the items needed and provide assistance to the staff to ensure that they understand the information that is required. Perform analytical procedures on the GASB 75 data to detect potential data anomalies and to determine if the extract is complete. Review union contracts and Summary Plan Descriptions in order to identify your organization’s OPEB under GASB 75. 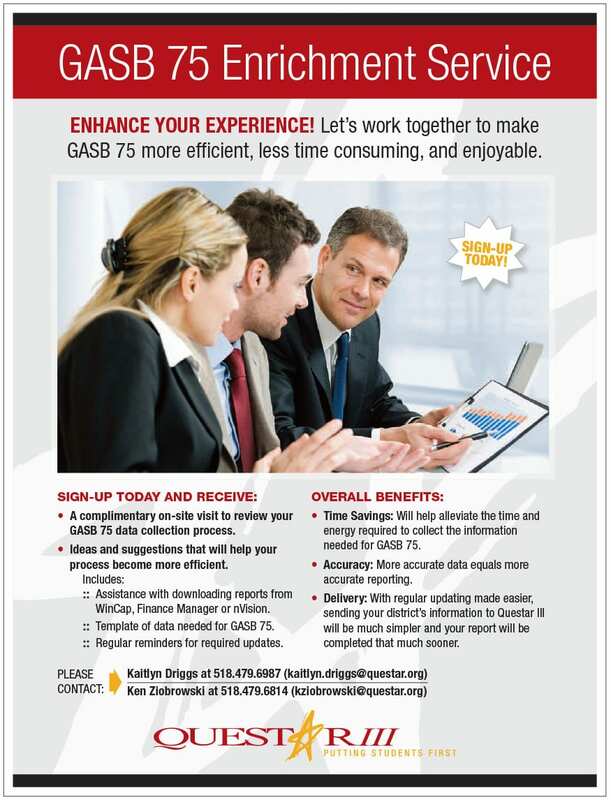 Meet with your staff assigned to the GASB 75 project team to review the results of the data analysis and develop a corrective action plan, if needed. Provide a report that has been certified by an actuary that meets the requirements of GASB 75. This report can be used for the required financial statement disclosures that will be included in the annual audited financial statements. 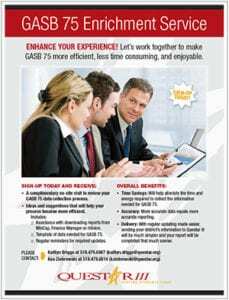 Assist the organization’s accounting department with any required journal entries needed to reflect the GASB 75 obligation in the appropriate governmental funds. Provide additional benefit contribution scenarios during union negotiations, if requested. These alternative variations of benefits can be calculated promptly and delivered (under normal circumstances) within 2 business days of the request.